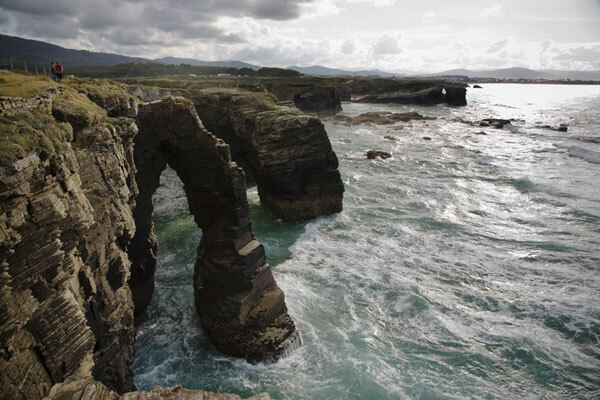 Location – In the municipality of Ribadeo, capital of A Mariña oriental, in the province of Lugo. The SCI extends between the municipalities of Barreiros and Ribadeo. Area – National monument: 28.94 hectares, of which 20 hectares are sea water. SCI: 304.36 hectares. Access – On the N-634 (A Coruña-Santander) road, turnoffs to the coast on the stretch between San Miguel de Reinante and Rinlo. Local roads parallel to the coast. Services – Accommodation and food in nearby villages and beside the road.